Comlongon Castle, a Barnardo's Home, was located at Ruthwell, Dumfriesshire. 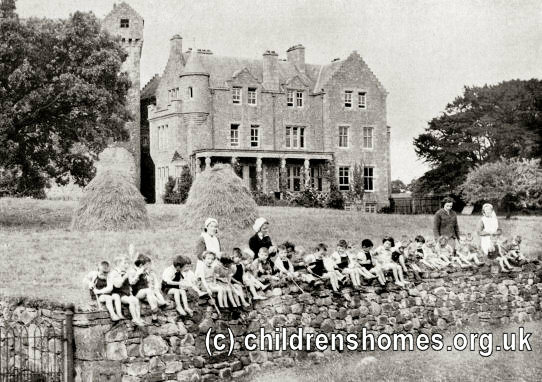 Opened in January 1942, Comlongon Castle near Ruthwell, Dumfriesshire, was one of the dozen or so wartime evacuation centres that Barnardo's established in large country houses in Scotland. Comlongon Castle was used to accommodate the under-fives. From 1947 until its final closure in February 1952, Comlongon Castle was used a short-term home and for the training of nursery staff.